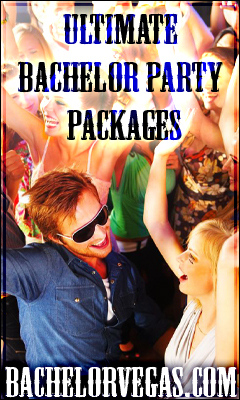 Las Vegas is not only known for its extreme gambling, extravagant shows, and quickie weddings, but also for its intense party scene where you can hone your pick up artist skills over and over again. What does Vegas have that no other city in the world has? A huge assortment of establishments to find beautiful women, including a host of day clubs, nightclubs, bars, and casinos. The trick is to know exactly what women want and how to draw them in through your self-confidence, humor, and charm. Remember she doesn’t know you, so first impressions are extremely important. There are several things that you should do when meeting women in Las Vegas. While many of us don’t like to admit it, we tend to initially base other people by their outer appearance. Therefore, if you are poorly groomed or ill-dressed, you may certainly ward off desirable women. While you don’t need to sport a costly tux or suit, a crisp pressed button-down shirt is a good start. Ensure that your hair and facial hair is properly washed and trimmed and that you smell clean and appealing to women. Many women feel uncomfortable when a single guy approaches them in a club. To make them feel less threatened, hit up Las Vegas’s establishments with some friends. Not only can you attract more females that way, you can also be each other’s wingman and talk to beautiful women together. Hit up the most popular clubs in the city, including Rain in the Palms, XS Nightclub in Wynn Encore, or the Foundation Room in Mandalay Bay. Be sure to always hit up the ATM before you head out for a night in Las Vegas. Let’s face it – Vegas isn’t a cheap place to visit. The last thing you want to do is be short of cash or max out your credit cards when you’re trying to pick up a girl. Ensure that you have enough funds to cover pricey drinks, hotel stays, cover fees, dining expenses, and any other extras you may want to get during your Las Vegas trip. Women want to meet men who can show them a good time wherever they are. Begin with an approach that will get her immediate attention, whether it’s a magic trick or a catchy line. Don’t appear overzealous or too nervous or you could lose her attention. Stay friendly, sociable, but continue to focus your attention on the woman that you find attractive. Dance with her and show her your personality and charisma. Las Vegas has a laid back atmosphere that makes for the ideal place to meet beautiful women. Women in Vegas are constantly being hit on, so you must show her something different – something that a hundred other guys didn’t. Master pick up artists like James Matador from PUA Artist teach men all they need to know to pick up desirable women wherever they go. Learn the methods of ‘direct game’ before you hit up Las Vegas to successfully meet beautiful girls effortlessly. Although there are numerous websites on the internet, there are only handful of “the best” celebrity pick up artists such as Mystery or James Matador, If you like to train one of these PUA artists in one on one course, you will have to pay up to 5K for a session, check out Matador’s http://puaartist.com/training/. Of course if you don’t have such budget, you can also consider online and boot camps as a cheaper alternative. Source: Venusian Arts the leading online PUA encyclopedia and PUA Terms. This entry was posted in Las Vegas, Uncategorized, VIP Host. Bookmark the permalink.